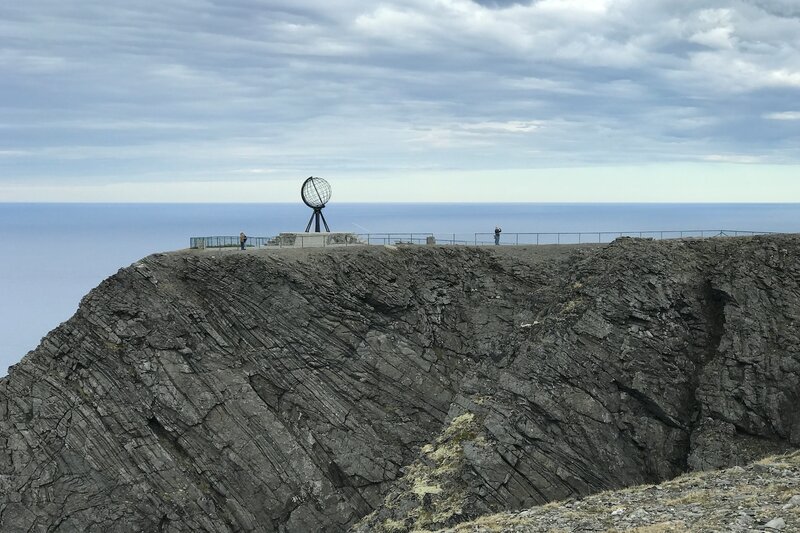 Every motorcyclist wants to visit the North Cape once. However, most of them can’t really explain why. In the early summer of 2018 also I set off on the journey to the far north. Since I had obtained my motorcycle driving licence four years ago, I have been on the road a lot. Mainly in the Swiss Alps and in South Tyrol. But eventually I wanted to do a bigger tour. But where should I go? I had absolutely no experience with longer self-organized tours. Over time, the idea of the North Cape as my first big destination gradually developed. So I did some research to find out how far that actually is and how I could get there and above all how much time I would need for such a trip. I came to the conclusion that four weeks should be enough theoretically. They had to be, because that’s all the vacation I would be able to take anyway. In autumn I submitted the holiday for the next summer, booked ferries and car trains for the winter and then nothing more happened for a long time. Again and again I reminded myself to finally start with the route planning. But nothing really happened. About two weeks before my departure I had somehow managed to put together a rough route. The next days it got better and better and I could really enjoy the trip over the Swedish Fjells. Whenever possible I left the originally planned route and improved my skills on unpaved roads as well. At first it was quite difficult for me. Except two day trainings in the Enduropark I had hardly any offroad experience and the fully loaded motorcycle also felt a bit unusual at the beginning. But with each kilometer on gravel it got much better and I really enjoyed moving off the main roads. Here the incredibly beautiful and unique nature could be really enjoyed and the chances to meet an elk or reindeer were much higher. However, I didn’t see a single elk during the entire trip. The journey through Sweden was very varied. In some parts I rode over beautiful gravel roads through forests or over hills. 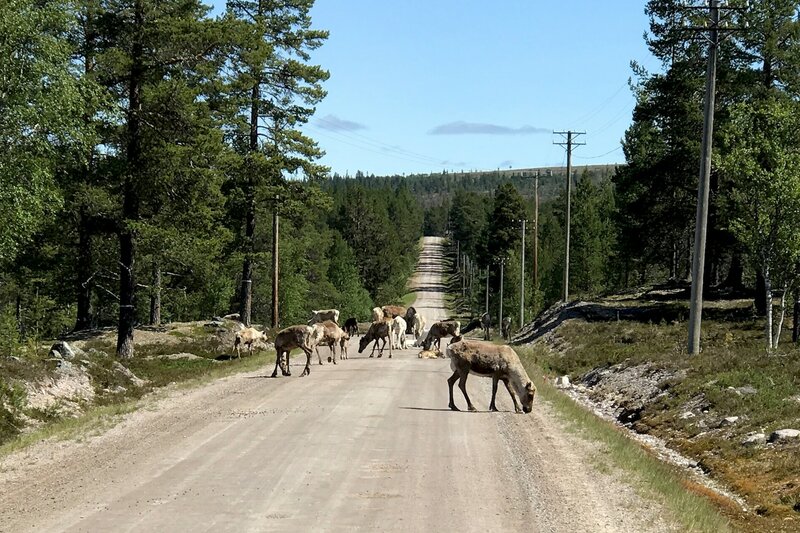 From time to time an emergency brake had to be applied here and there, because once again a herd of Reindeer had made themselves comfortable behind a hilltop on the road. Then there were sections in between, where I had to go stupidly only straight ahead for miles and I had the feeling to ride a US highway. Again and again the landscape was interrupted by very beautiful smaller or larger localities or changed abruptly from forest to sparse grassland or the other way around. 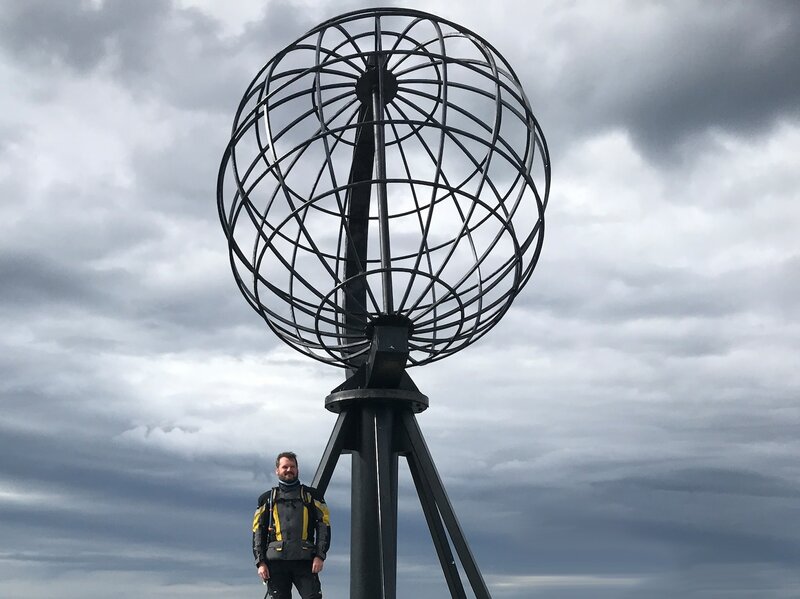 Despite my frequent detours I made good progress, so that after eight incredibly eventful days I was already standing at the North Cape. Two days earlier than planned. During this time I had seen and experienced a lot, met some nice people, but above all enjoyed the loneliness. 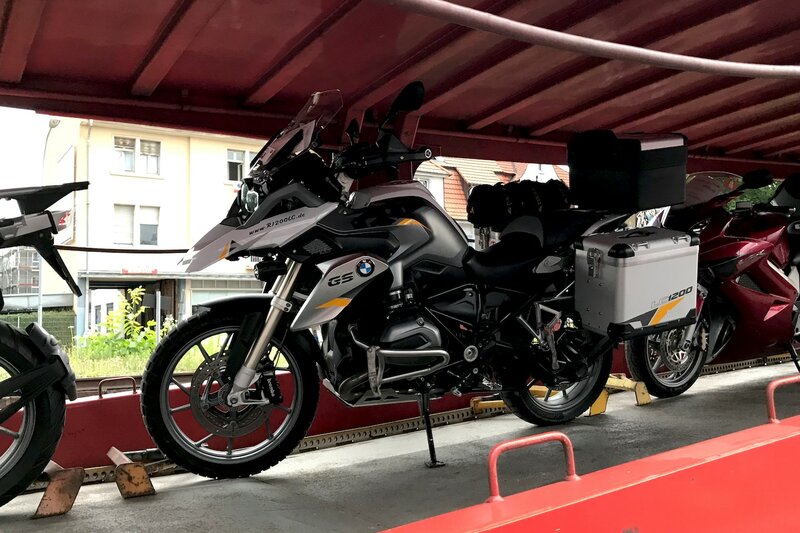 In this one week on the motorcycle with up to 450 km long daily stages I had relaxed better, than in all other holidays so far. At the Cape itself I was really lucky: When I arrived there were no tourist coaches and only a few people on the cliff. Somehow it was already a great feeling to make it alone to the northernmost point of Europe. Although only one week on the way, I felt like a world traveller and stood there completely overwhelmed with pride swelling breast and looked out at the open sea. The destination of the journey had been reached. 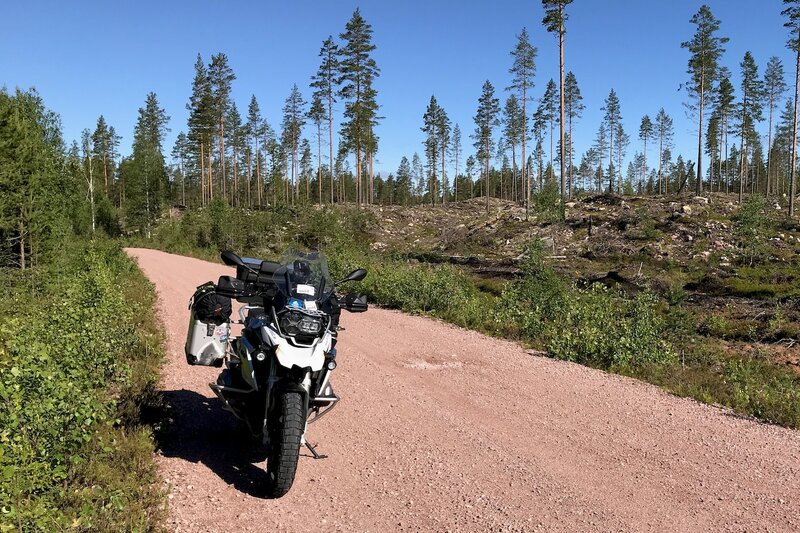 Florian is a RISER AMBASSADOR and shares his motorcycle experiences on the RISER blog with you. Follow him on RISER app, check his routes and stay up to date on the latest recommendations!